5 Things About The Caribbean Citizenship By Investment Programs - Caribbean & Co. According to senior executives at Henley & Partners who recently hosted the 10th Global Residence & Citizenship Conference, recent unsettling world events such as the attempted Turkish coup, French terror attacks, Brexit and now the Trump presidency has increased interest from high net worth individuals for alternative residence and citizenship. Not just from the global elite in countries like China and Russia but also from the United Kingdom and the United States. So which Citizenship By Investment Programs will benefit? Well, it’s early days but five of the current eight Citizenship By Investment Programs are in the Caribbean, and their requirements are more favorable to the global elite who want the advantages and privileges of a second passport in an expedited manner. The Caribbean Citizenship By Investment Programs are also appealing as the countries are all politically stable with Westminster-style democracies and well established legal and regulatory frameworks. Also, they have stable currencies back by the US dollar, and they are all located near major markets with daily direct flights to/from Europe, Canada, and the United States. Furthermore, the process is expedited. Via one of the Caribbean Citizenship By Investment Programs, a second passport can be secured in three to four months after undergoing due diligence background checks and making a minimum investment of US$200,000 not including government processing and due diligence fees. 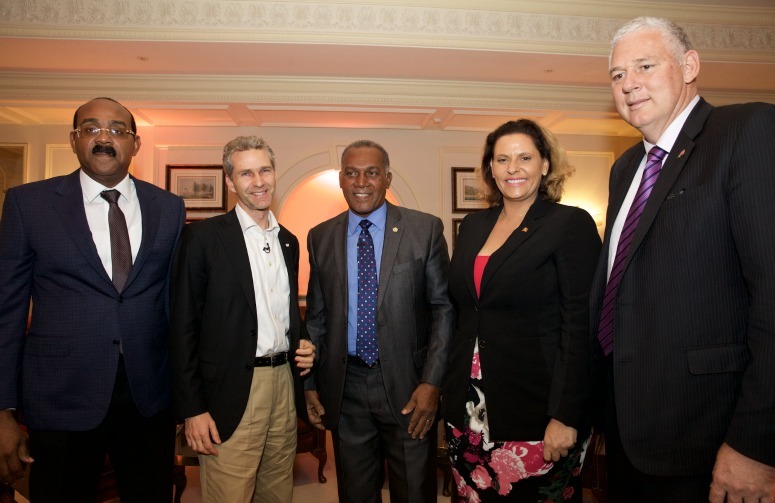 10th Global Residence & Citizenship Conference – Antigua & Barbuda Prime Minister, Hon. Gaston Browne + Henley & Partners Group Chairman, Dr. Christian H. Kalin + Nevis Premier, Hon. Vance Amory + Grenada Minister for Citizenship By Investment, Hon. Alexandra Orway-Noel + Saint Lucia Prime Minister, Hon. Allen Chastanet. Photo Credit: ©Henley & Partners. 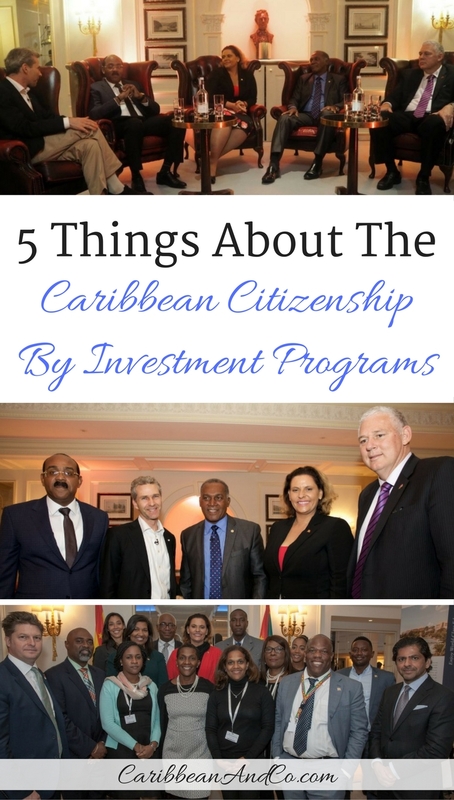 With this in mind, below are five things I learned at the 10th Global Residence & Citizenship Conference regarding the five Caribbean Citizenship By Investment Programs. 1. Since the Antigua Citizenship By Citizenship Program launched in 2012, it has received approximately 800 applications. 40% of the applicants are from China and 20% are from the East Middle. A majority (75%) of the approved applicants make a contribution to the National Development Fund (NFD) instead of investing in real estate. The funds are used by the Government of Antigua & Barbuda to invest in various infrastructure, education and other national projects. 2. The Dominica Citizenship By Investment Program launched in 1993 remains the most competitive with just a minimum investment of US$100,000. But with heat coming from the other Caribbean Citizenship By Investment Programs, Dominica is slated to move ahead in 2017 with increasing the minimum fee to US$175,000. The increase was slated to happen in 2016. However, this was postponed due to the devastation caused by the 2015 tropical storm Erika and the government’s need to secure as much Foreign Direct Investment as possible to rebuilt. 3. The Grenada Citizenship By Investment Program launched in 2013 is the only one in the Caribbean which has visa-free access to China. Grenada also has the only Caribbean Citizenship By Investment Program which holds an E-2 Investor Visa treaty with the United States allowing Grenadian citizens to be eligible for the United States for a non-immigrant visa. To get the five-year renewable non-immigrant visa to the United States, the new Grenada citizen will need to make an investment in a material and bona fide business in the United States. 10th Global Residence & Citizenship Conference – Grenada Minister for Citizenship By Investment, Hon. 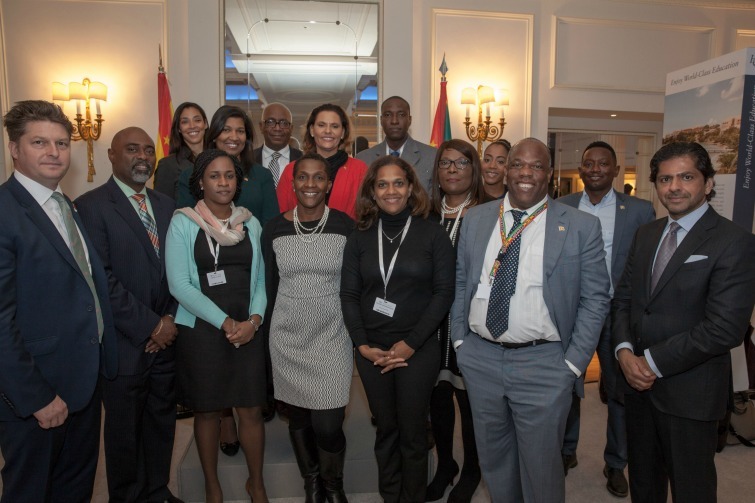 Alexandra Orway-Noel and extended Grenada delegation. Photo Credit: ©Henley & Partners. 4. The St Kitts & Nevis Citizenship By Investment Program launched in 1984 is the oldest and most established. And through the end of 2015, approximately 10,777 applicants had been granted citizenship and by extension second passports. The program has broad appeal with applicants applying from 127 countries and so to maintain its market leading status; it recently completed a restructuring of the program. The reorganization of the St Kitts & Nevis Citizenship By Investment Program included the appointment of new leadership and team members along with tightening its due diligence process. 5. The Saint Lucia Citizenship By Investment Program launched in 2015 is the new kid on the block, and in an attempt to differentiate its program and appeal to a more exclusive audience, applicants are required to have a minimum net worth of US$3million. Plus with the recent election of Prime Minister The Hon. Allen Chastanet, the program is currently under review with a view further differentiating the investment offerings. One idea under consideration is the transfer of revenue from the Saint Lucia Citizenship By Investment Program to a Sovereign Fund which would be managed independently and used to support developments on the island. However, to ensure maximum return for investors, the Sovereign Fund would not just invest in Saint Lucia but outside areas operating like a global mutual fund. Furthermore, the program is considering not just offering citizenship, but residency and domicile taxation registration. These changes if approved would be all part of a relaunch in January 2017.